I will try to say more about Prof. Kenelly’s ideas about the future of handheld technologies in a later post, but for now I wanted to share one of the really cool parts of his talk — the calculators themselves, some of which are now antiques. He had a bag full of these old-school devices (some of which are less than 10 years old but still old-school) which he generously let us paw over. 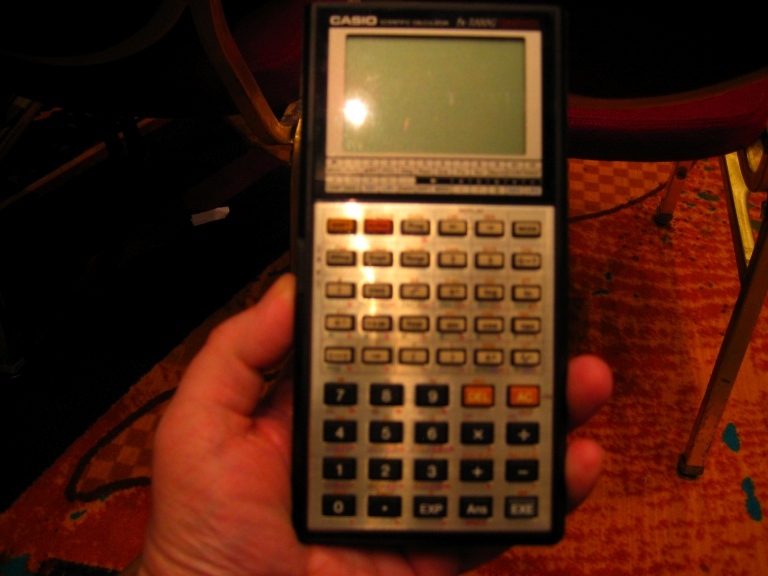 Here’s a rare example of a Casio fx7000, from 1985 — the world’s first handheld graphing calculator. I was downright startled to learn that sitting right across the aisle from me at this talk was Hideshi Fukaya, the lead engineering on the development team for the Casio fx7000 and the person rightfully considered to be the inventor of the graphing calculator. 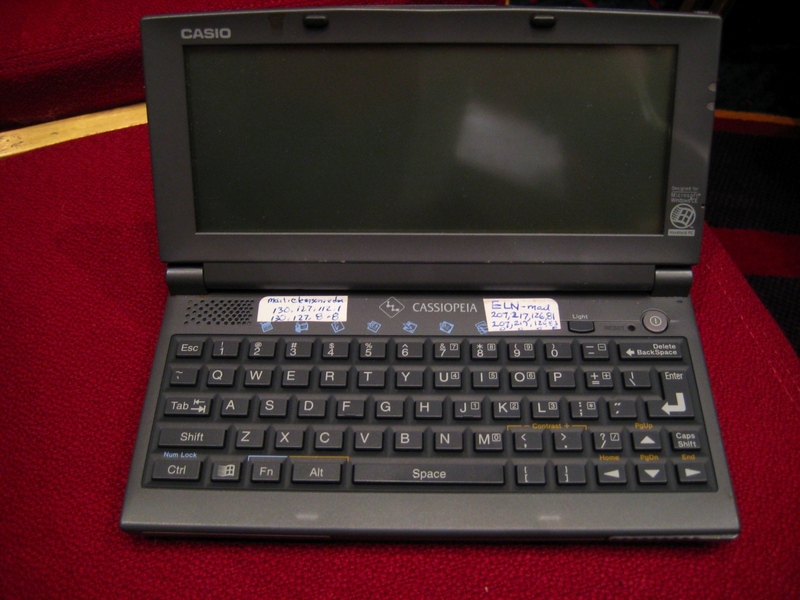 Moving ahead up the timeline, here is a Casio Cassiopeia. More of a palmtop computer than a calculator, and it ran Windows CE. Anybody remember good old WinCE and why that abbreviation was particularly apt? I guess I am just a sucker for old-fashioned calculators. 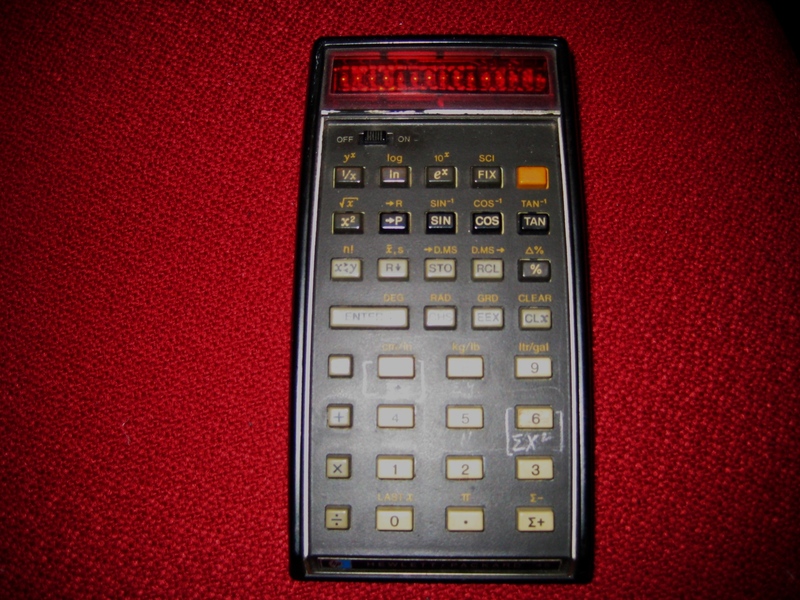 Aside: I’d love to do a spreadsheet in which one column has the year in which a calculator was made and another column has the number of buttons on the calculator, and run a regression analysis on it.